Scheduled very early (for beach volleyball) in 2017, the Fort Lauderdale Major offered the first opportunity for teams to check out on their winter preparation. At the beginning of February players would usually sweat on warm beaches across the globe getting ready for the forthcoming season, whereas in 2017 this routine was interrupted by a great Swatch Major Series event. As a matter of fact, only on five previous occasions had the World Tour begun earlier in its 31-year-old history. However, they all took place more than seventeen years ago and, apart from a South Beach season opener in Miami, USA, were all organized in the southern hemisphere (Australia and Argentina). 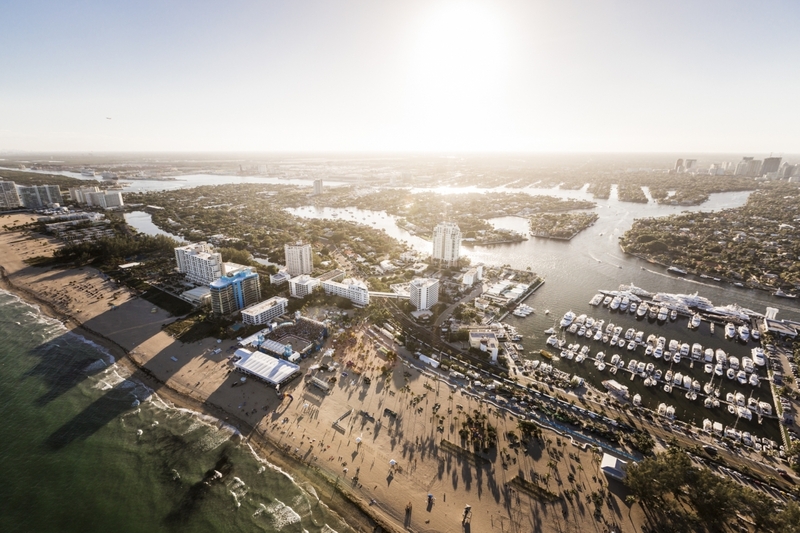 Now another US stop, Fort Lauderdale, not part of the 2016 campaign, returned to the Tour after it staged the Swatch FIVB World Tour Finals in 2015. Brazilians enjoyed a great week on the coasts of Florida and two new teams met for the gold medal match last Saturday. No, it wasn’t Alison-Bruno this time. Alvaro Filho-Saymon took all the glory for themselves as they embarked on a new and what seem to be a very fruitful partnership. Alvaro Filho did not achieve spectacular results with his previous partner Vitor Felipe and the end of 2016, marking the beginning of the new Olympic cycle, was the perfect time for a new challenge. 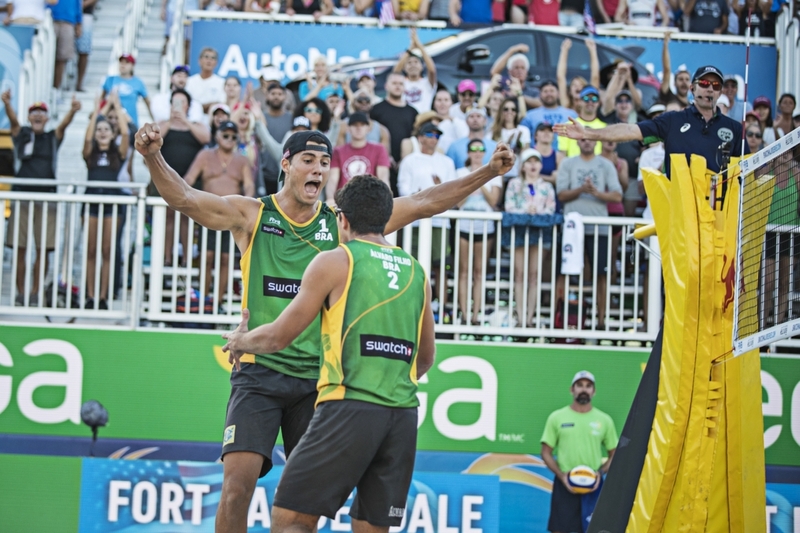 Saymon Barbosa, 23, was considered one of the brightest talents in international beach volleyball and responded positively to the new opportunity to join Alvaro. Saymon, alsongside another talented Brazilian – his former partner Gustavo ‘Guto’ Carvalhaes, scored a number of impressive World Tour finishes in 2016, including three bronze medals, a final at the Klagenfurt Major and gold at the Cincinnati Open. The future is certainly bright for Saymon and now he may have made the right choice by joining Alvaro Filho. His first title from such a big event is a proof for that. In the final match in Fort Lauderdale Alvaro Filho-Saymon beat compatriots Evandro-Andre in straight sets (21-15, 21-17). Alvaro Filho, one of the Tour’s best defenders, displayed remarkable skills digging the ball literally everywhere on the court. Their win was undisputed as they went through the Main Draw and the qualifiers unbeaten. And not only that but the two had to survive a Brazilian domestic trials before the Major in order to gain the right to represent their country. After all, Alvaro Filho-Saymon was a newly created team and lacked enough tournament points. So their impressive 2017 campaign started with a 2-0 win against Hevaldo-Oscar. According to me and Bet365 Evandro-Andre is another team that will undoubtedly attract even more attention this season. Evandro Goncalves is one of the most merciless servers, combined with some of his great skills at the net, whereas Andre Loyola, 22-year-old and 201-cm tall, is a versatile defender, apart from being a great talent, and had Ricardo Alex Costa Santos and Oscar Brandao as partners in 2016. With the latter he won the Fortaleza Open last year. Evandro finding a new partner meant that one of the strongest Brazilian teams out there, Evandro-Pedro, participants at the 2016 Olympics, had to be broken. Time will show whether these new tandems will provide results or not. The first results are certainly in favour of the former, besides history keeps many examples of newly formed Brazilians duos (and not only) which have topped numerous podiums. And they can’t really complain from a lack of talented youngsters, can they? The bronze medals in Fort Lauderdale were grabbed by Lucena-Daulhausser in an all-American match against John Hyden and his partner last week Ryan Doherty. Tri Bourne, the veteran Hyden’s regular partner sat out the event due to illness. Despite the last-minute arrangements, Hyden-Doherty did a great job and were five points away from the bronze medals, losing against Lucena-Dalhausser after a tie-break (21-14, 13-21, 10-15). 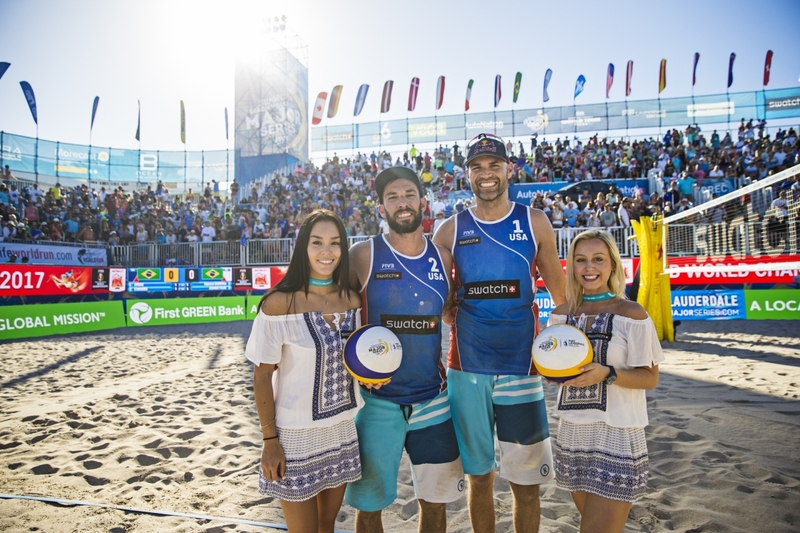 Phil Dalhausser admitted before the event that they had not really practised much and quite normally so because of the early date. And yet this third place comes as a showcase of the quality beach volleyball the two veterans can demonstrate at any time. With no Olympic qualification points haste and pressure now, the goal of the two ‘yankees’ for 2017 is crystal clear – a solid performance at the World Championship in Vienna.